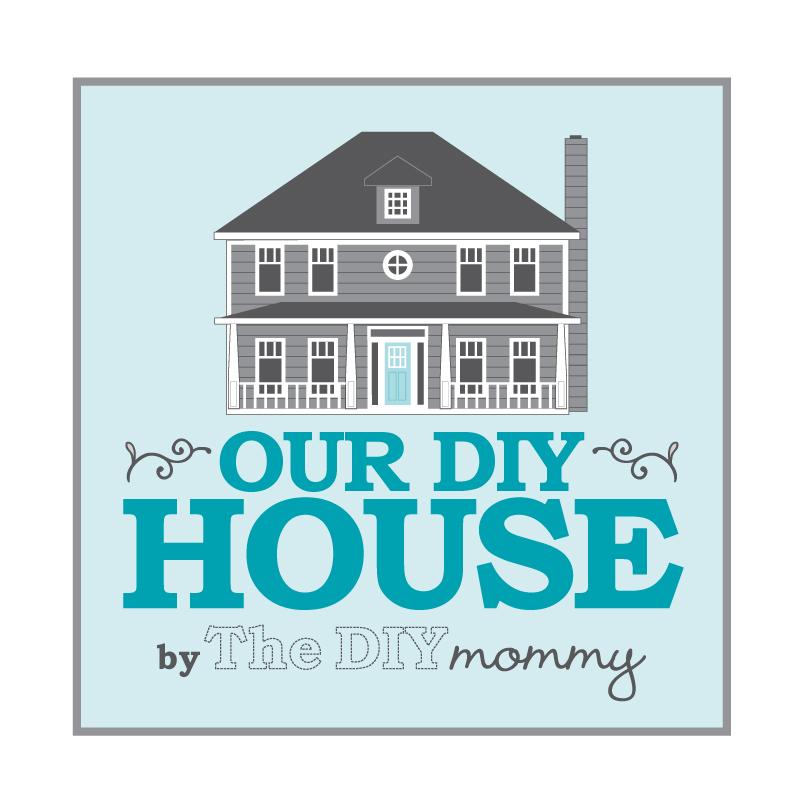 Little C’s room was first on my DIY list because we already have all of her new room’s fabric (see Little C’s bedroom mood board and projects so far here). 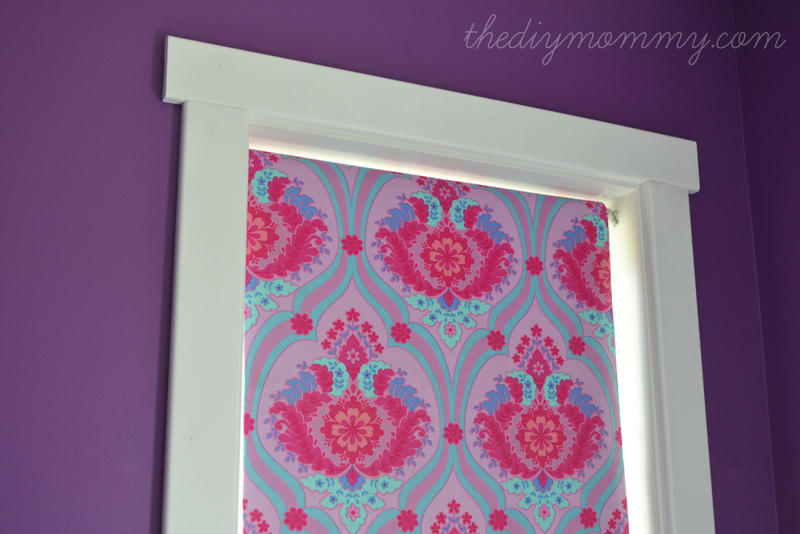 I love these little DIY fabric covered shades! They’d make a great home decor project for any DIYer. Think of how cute they’d look covered in a damask fabric for a kitchen window or a pastel chevron fabric for a baby’s nursery! This is exactly the tutorial I needed! Wonderful! If you give it a try, let me know how it goes. 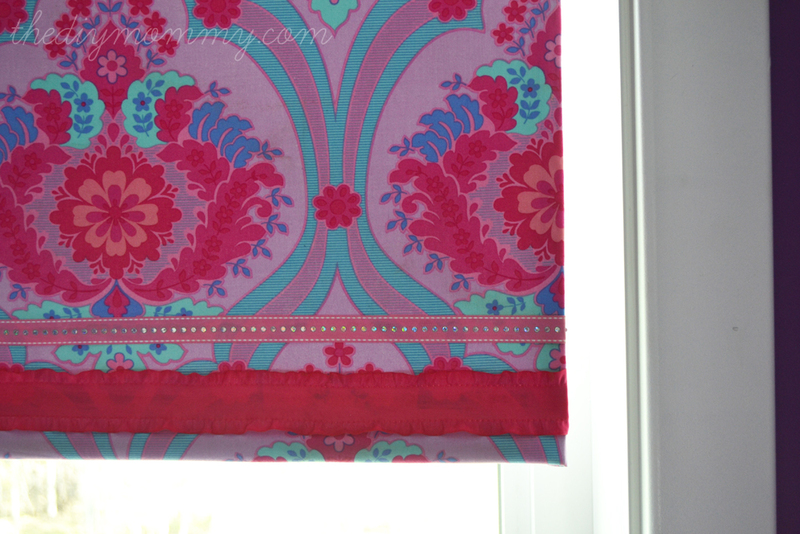 I think the main trick is to make sure your fabric isn’t too heavy so that the blinds still roll. Have fun! Great question, Tracy. Christina has used glue with lace in order projects and never had an issue with discolouring. However, you make a good point with the humidity. We think that you should go for it! Looks so great!! I have a baaaaad history with spray adhesive… Long story. But I think I need to try this! Ok this is so cool! Pinning and trying for my boys room! I would love for you to come link up That’s Fresh Friday and share! Thank you! I’ll be sure to stop by your site ASAP. Have a great weekend. Love this! And, I can’t believe how easy it seemed. You’ve inspired me to try to spruce up my boys’ blackout blind with something fun. Awesome! Thanks for your comment, Aeryn. 🙂 Let me know if you make one! Thanks, Danielle. I love this fabric too! It’s so colourful and unique. Great tutorial! 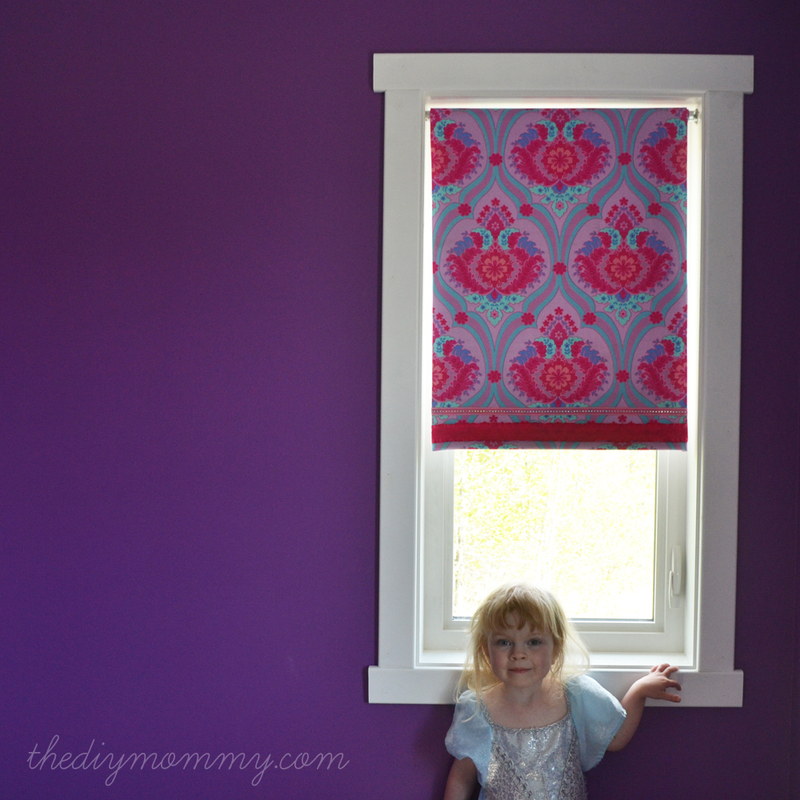 I love the fabric you chose too with those purple walls—fabulous! They match so well. Thanks for sharing! Angela @ CreativeBlossoming.com recently posted..Mid-Century Modern IKEA Rast Dresser Makeover… Finally Completed! Awesome! I’m glad I could be of help, Saida. Let me know how they go for you and I’d love to see a picture of them when finished! I’d seen those tutorials on Pinterest, too, and wondered if they would really work. 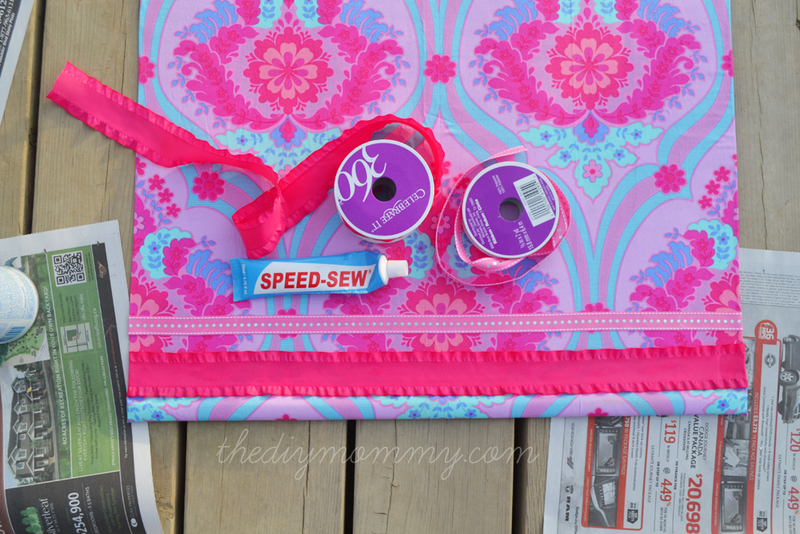 I will say, I’ve found that the Speed Sew glue doesn’t work very well in the long run. Please let me know how the blinds hold up! 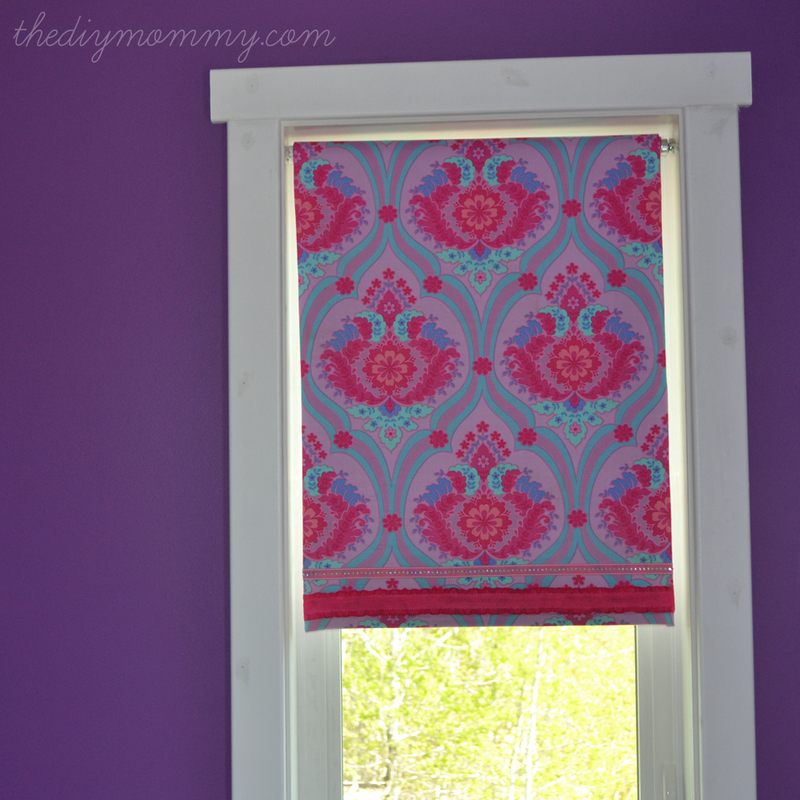 I’m dying to add some pizazz to my kitchen window blind! So far, so good! The only thing is that the fabric has wrinkled as the glue has completely dried, so I’ll have to take them down and steam them lightly somehow. The spray glue seems to be holding; luckily I only used Speed Sew on the ribbon so we’ll see how that holds. Just finished making my little grandson’s quilt cover and pillow cases and wanted to match the blinds too. Now that I have the instructions and your tips, I will try it out. Thanks very much. Great work, the shaded blind is looking very beautiful. The fabric is having good design as well. Thanks for easy guidance. 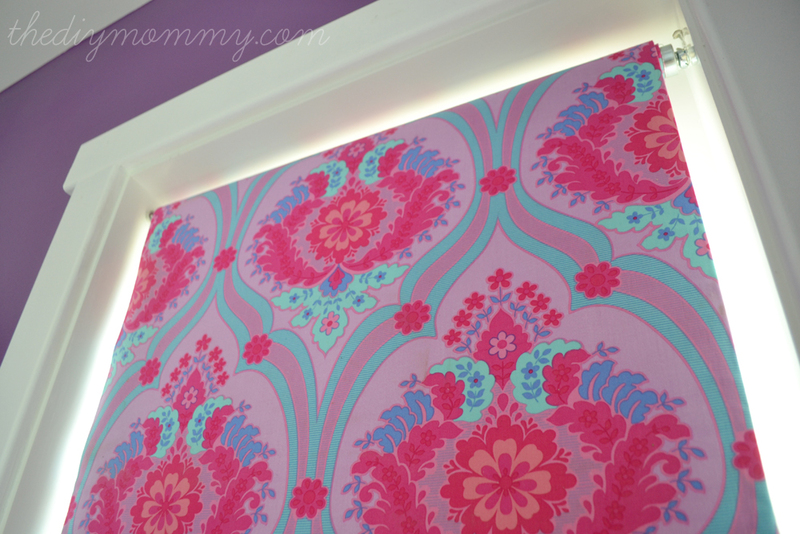 This DIY roller shade blind is fabulous. 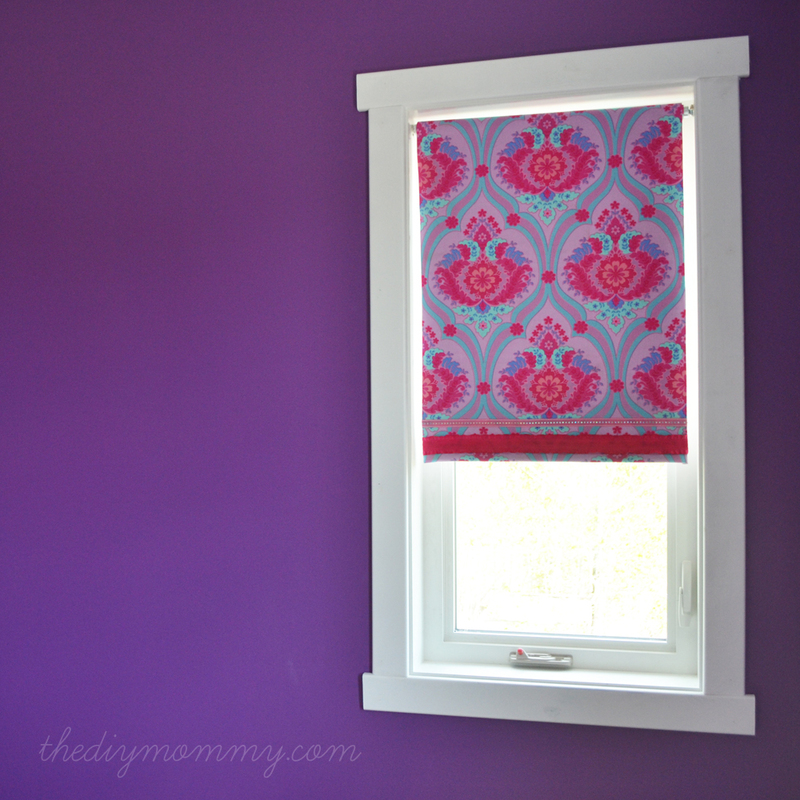 Designing your own window treatment is really fun and fulfilling. I will use these ideas in designing my blinds. Now I can use blinds according to my room furniture or theme. Thanks Bonnie! We still have these hanging in my daughter’s room and they’ve fared well! That is a great idea, Ruby. Thanks for sharing and for your lovely comment! thanks so much for this tutorial. My kitchen roller shades turned out awesome! Only $27 total for 2 windows. Let me know where I can send you a photo of the finished project. I’m trying for the first time to cover my roller blinds. I bought real lacy curtain material. Your page helped me enormously to do it right. I’m using fabric glue, regular type. Thanks for the help. I love this idea! We are moving to a new house and my Babygirl needs her sleep! Can’t wait to try this!! Just tried this last week (unfortunately also a windy day, and with a toddler “helping”)! I did everything just like you did but I guess I pulled the fabric too fabric too tight because when I went to go roll it up it wouldn’t roll at all! I ended up pulling it off and then re-gluing it, that time rolling it up after each section. Now they roll but the fabric buckles a little bit when it’s straightened out. It’s got a pretty busy pattern though so it doesn’t bother me so much. I think it might be because we used the shades that were there when we bought the house so they’re really old and REALLY thick vinyl, plus the window is pretty big. Hope others have better luck but I’m still glad I did this since even slightly buckled fabric looks better than old beige vinyl! I made a blind using this technique and was very happy with the results. I was concerned because my shade was for a very big window, but with the detailed instructions and helpful hints from others who commented, it turned our beautifully. I’m glad it worked well for you. Thanks for sharing! This is awesome. I was looking into painting shades, but I might like this idea even better. I wonder if a bedsheet would work, or would that be too thick? I think a bed sheet could totally work! They’re usually not too thick. Thanks for this! I just finished making 4 shades for my daughters’ bedrooms using this technique. Turns out that you can get vinyl shades cut to order at Home Depot. You just need the width measurement. Makes the process even easier! What does the shade look like on the opposite side of the window? My sister is looking to decorate my nieces room next week but can’t find blinds to go with the color of paint she is using. I thought I would help her look around for some ideas, and I think I may have found it. I’ll have to show her this and see if it’s something that she would want to look into more. Love this!! I was after a very specific stripy blind, but to have it custom made I was looking at £250. So I found your page and thought I’d give it a go! It turned out fabulous. My only mistake was that the fabric was a bit too heavy. The blind is now a bit difficult to pull up and I am just expecting the cord to snap. So, just like you say, use a thin fabric. Thank you so much for providing such detailed instructions! Love this no sew solution ☺ I’ve been looking for affordable blackout fabrics for a while – found some at this custom fabric website, weaveup. You can upload your own design or create custom designs from one of their existing patterns. Finally did it yesterday!!! Yay looks wonderful! How did this blind hold up? The adhesive still stick? Any adjustments? 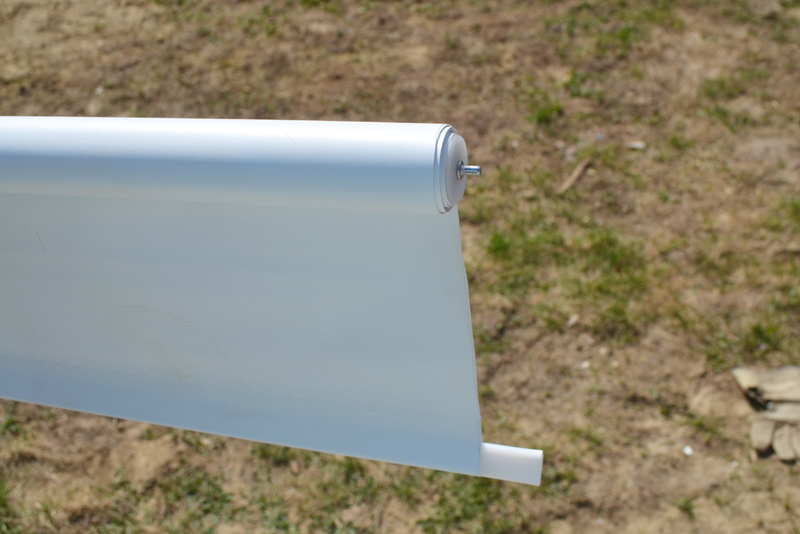 I followed your tutorial using a thin fabric on my blackout blind, but I can’t roll it up as it seems to be too bulky. Also, the glue is coming a bit loose as the fabric rolls. Did anyone else have this problem? What a GREAT tutorial! I did two average size shades! I made these notes for myself for when I do more shades. These are just hints. Not sure if they would apply to everyone’s process. 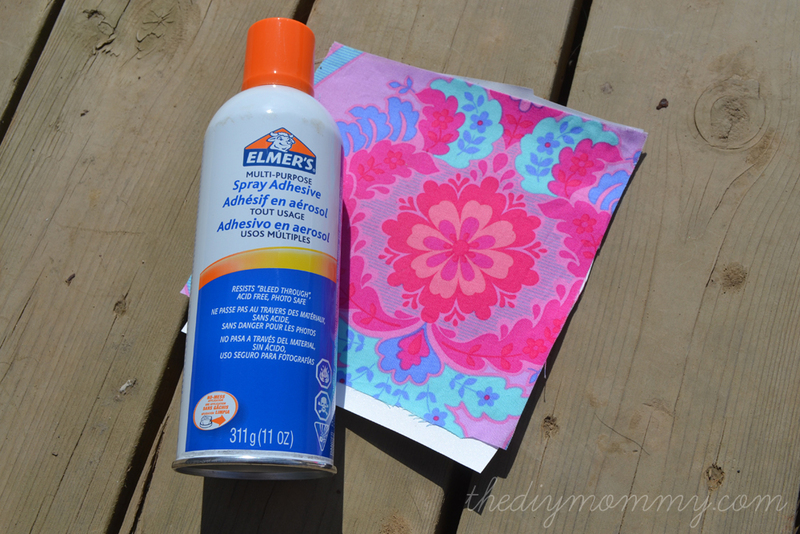 The spray glue I happened to have on hand was Elmer’s Spray & Bond – temporary or permanent adhesion. 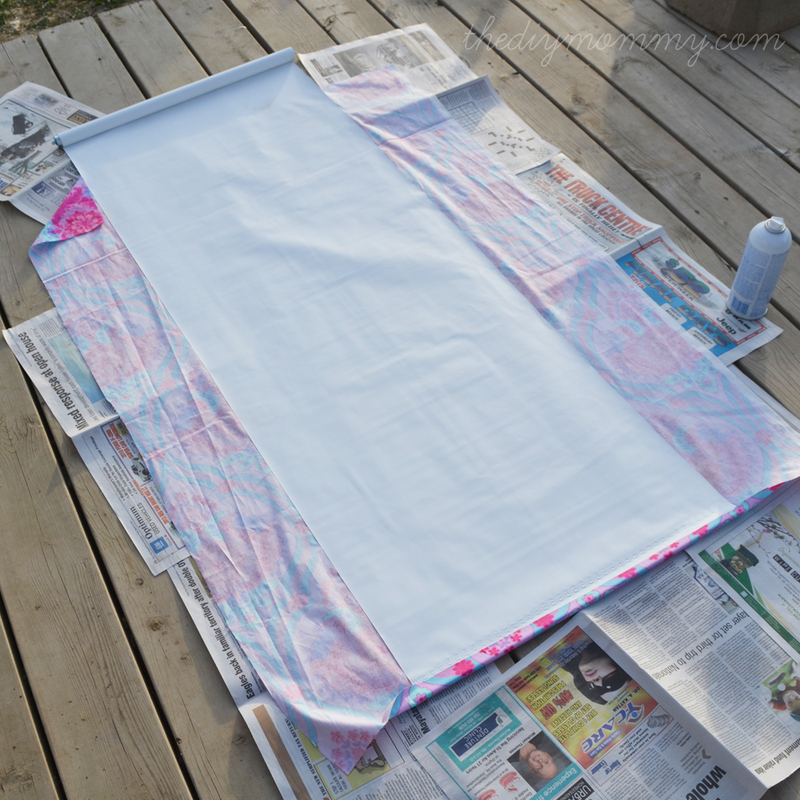 You have to spray a generous amount of glue and press the fabric in place quickly. This is what creates the permanent bond. When I rolled up the shade the first time, the fabric came loose. 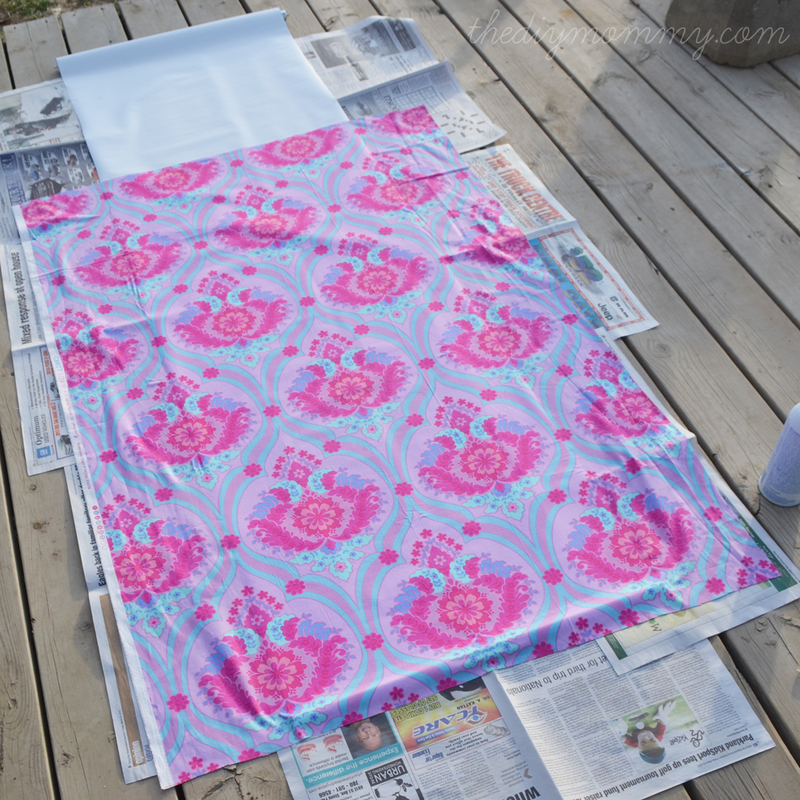 I had skimped on the glue and waited too long to press the fabric to the shade. The fabric was only adhered temporarily. 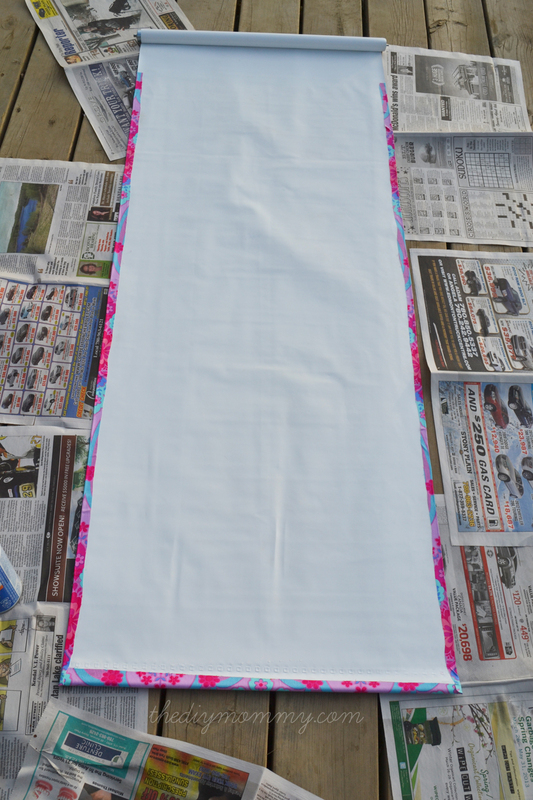 I peeled back the fabric, generously re-sprayed and immediately reapplied the fabric. I waited over an hour and a half to re-roll the shade to make sure the glue was set. Worked like a charm! I did have a small amount of over spray. I only applied the fabric to the part of the shade that would show, as Christina mentioned. 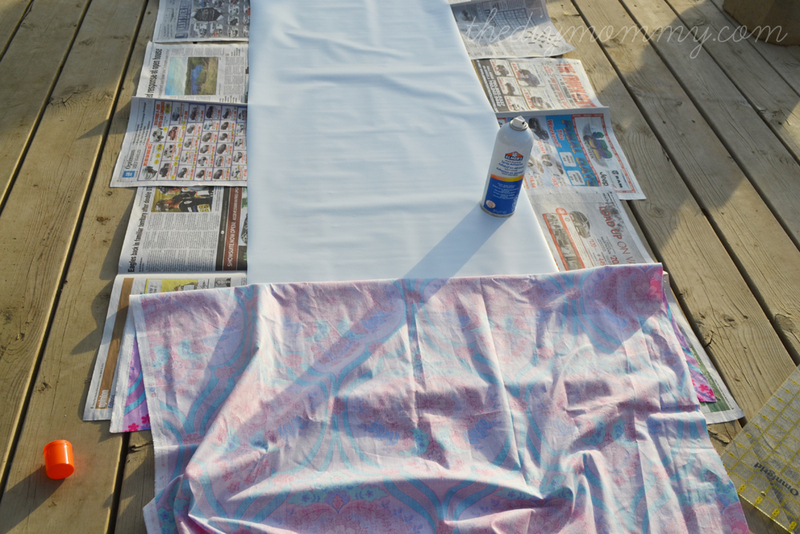 Some of the spray got on the part of the shade I didn’t cover with fabric. I used Goo-Gone to wipe off the overspray, followed by wiping with alcohol to clean up the Goo-Gone. This cleaned up the sticky residue nicely. It also worked on my hands! Thank you so much! I just redid my dining room blinds. The blinds were kind of yucky and it was going to be pretty expensive to buy new ones, so I just bought fabric and glued them to the old ones! Ta-da! That is so wonderful, Jennifer. A little creativity and time goes a long way. I’m in Australia and would love to know where you got your gorgeous fabric from? 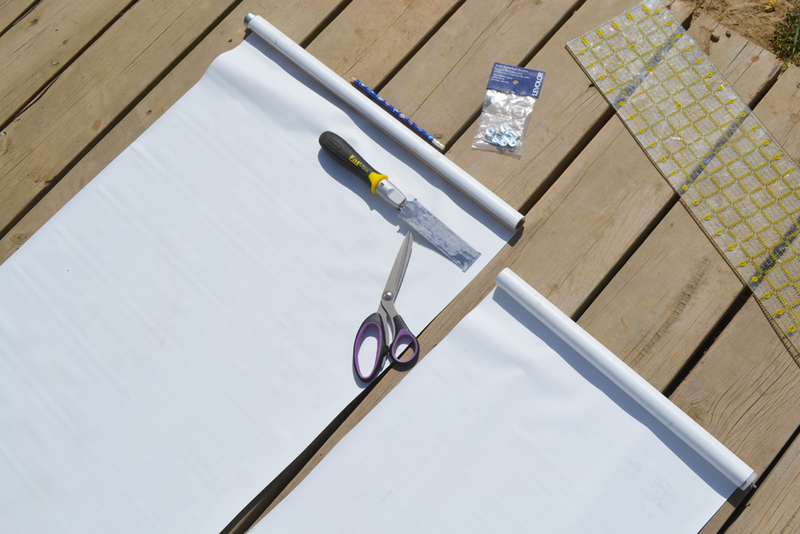 Love your taste and brilliant diy roller blind idea. This is beautiful design and really easy to make. 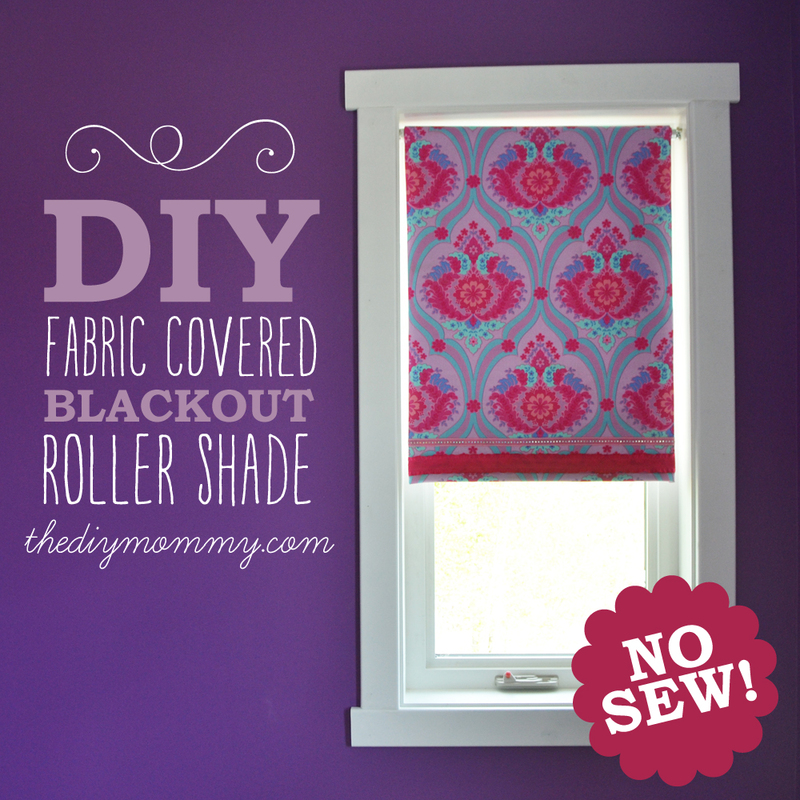 Thank you Christina for sharing the great information how to make No-Sew Fabric Covered Roller Shade/Blinds. I love this article and given tips in it. This is awesome DIY. 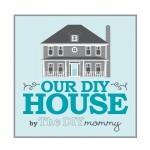 I am a DIY freak and will surely be doing this for my kids’ room. Hoping to get this one exactly as you did. Steven Cosson recently posted..Hello world! Can I put fabric on both sides? Wow! its awesome dear, Thank you so much for sharing this post about window roller shade. Sewing is something i can’t do, and also to pay for my blinds is something that i can’t afford right now, but your post helped me so much that i made the same blind for my room. And honestly, i am loving it. I have read your blog and it is really awesome I really enjoyed it while reading your blog. Your Blog is very pretty good. Awesome Blog really enjoyed your blog.